IHI Corporation anticipates that smaller geothermal plants will find better success than larger facilities. Japan is seeking greener energy sources and IHI Corp. believes that small geothermal energy plants will be a big hit in the country, particularly in the years to come. A 20 Kilowatt (kW) generator has the ability to convert hot water into electricity. The Japanese heavy equipment manufacturer, which is based out of Tokyo, has created a 20 kW generator that cannot only produce energy from hot water, but it can be up and running in less than a day. On average, the large scale geothermal power facilities in the country take a decade or more to develop and become fully operational. Furthermore, the environmental assessments that accompany these big projects typically last for three or four years. The smaller plants will likely become popular due to the fact that they are more practical for operators, as they are easier to manage. This is a faster method for utilizing Japan’s rich heat sources that exist beneath the surface of the Earth. The geothermal energy system uses hot springs. Initially, IHI had developed its Heat Recovery generator with the intention of targeting factory waste water. 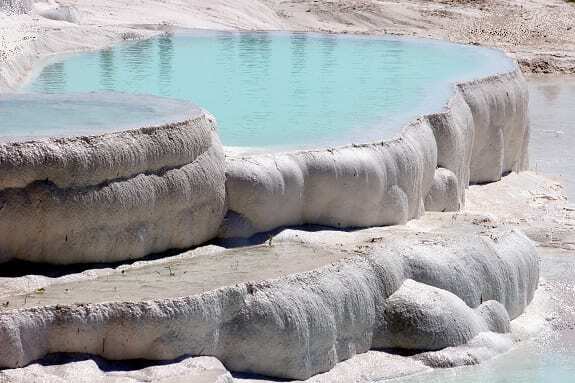 However, once the device was ready to go, they found that half of all inquiries they received were associated with hot springs. “We realized the use at hot springs has potential,” Yamaguchi said. With the Japanese government focused on clean energy, IHI recognized that the market to use the heat produced from hot springs was becoming active. The company’s product uses binary technology. This makes it capable of utilizing water at a reduced temperature to heat a second fluid at a far lower boiling point. As a result, operators of hot springs have the ability to run the systems without any extra drilling because they can use the existing wells. IHI Corp. has received orders for over 10 units for industrial sites and hot springs, since their geothermal energy device was made available for purchase in August 2013.